Annastacia Palaszczuk’s slash and burn regime over country racing continues after she threw country bookies under the bus in favour of multinational corporates. 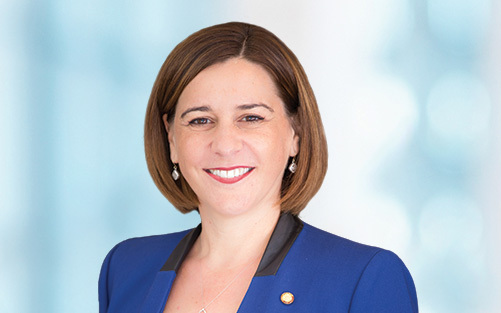 Deputy Opposition Leader Deb Frecklington said Labor’s refusal to enforce a minimum bet limit for corporate bookmakers meant there was an uneven playing field in Queensland, particularly for country bookies. “We’ve heard a lot of discussion about the introduction of a minimum bet limit in Queensland but it seems the Labor Government and Racing Queensland have kicked that into the too hard basket,” Ms Frecklington said. “Unlike the major racing states of Victoria and New South Wales, Queensland will continue to have an uneven playing field, which is bad news for punters and the Queensland industry as a whole. “At the same time, Labor is reducing the fees corporate bookies have to pay and undermining the entire funding model for the Queensland racing industry. “Annastacia Palaszczuk continues to favour a handful of large multinational corporate bookmakers who aren’t based here and don’t pay tax here. Ms Frecklington said the racing industry supports up to 30,000 direct and indirect jobs, generates $3.5 billion in wagering turnover that injected over $200 million back into the racing industry in 2015/16. “Not only does country racing make a massive financial contribution, it plays an important role in building the social fabric of many rural and regional communities across the state,” she said. “Labor’s policies will make it unviable for country bookies to operate and without them, there is no country racing.